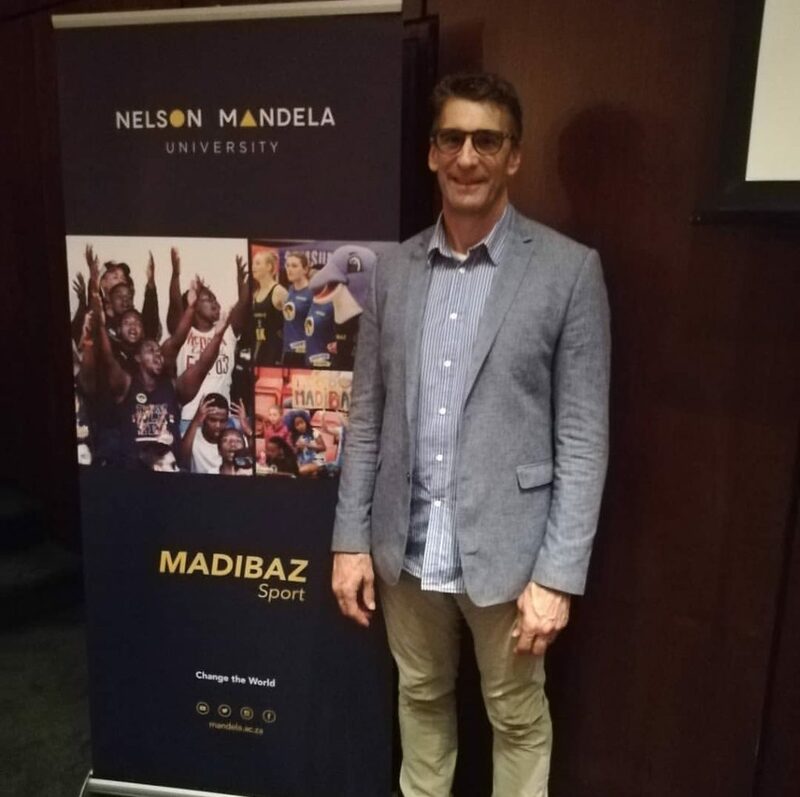 Former presidential security chief Rory Steyn delivered a fascinating address at Nelson Mandela University on Thursday in which he said the lessons he learnt from Madiba remained as relevant today as they were back then. The talk at the Port Elizabeth university’s council chambers was a Madibaz Sport initiative, set up last year to celebrate the centenary of Nelson Mandela’s birth in 1918. An ex-policeman, Steyn formed a close relationship with the late South African president when he was a team leader with the Presidential Protection Unit during Mandela’s term from 1994 to 1999. The humility of the legendary statesman shone through during Steyn’s address and the lessons he learnt from Mandela which he shared with the audience still resonate today. Steyn said he always grabbed the opportunity to talk about Mandela’s legacy, particularly to the younger generations. “You, as students, are the future of our country and some people are already forgetting the lessons Madiba taught us and I don’t want that to happen,” he said. One of his earliest memories of Mandela’s life lessons came after the assassination of Chris Hani on April 10, 1993, just more than a year before he became president. “I was overseas at the time, but much later my colleague and fellow team leader in the PPU, Jason Tshabalala, told me what happened when Mandela heard the news. “Although he was weary from travelling overseas to raise funds for the 1994 election, Jason said he was called by Mandela on the Sunday morning after the assassination, who told him to take him to the SABC. When he returned from his overseas trip, Steyn said he learnt that his police colleagues had been placed on standby and if any violence erupted from the townships into the then-white suburbs, the police had been instructed to resist it with force. “That means people would have been killed, but it did not happen because of the incredible act of leadership by Mandela on that day,” he added. “He knew how angry people would be and he knew he had to say something to prevent what he later said would have been ‘rivers of blood’. “That lesson is about seizing the moment. Leaders are required to lead and sometimes it’s just a matter of getting into a car, going to the SABC and asking everyone to be calm. When he was a policeman before the ANC was voted into power, Steyn said he was somewhat cynical about Mandela’s speech after he was released from prison in 1990 when he said South Africa was for all people, black and white. With his career having developed in the days when the ANC were the apartheid government’s sworn foes, Steyn said they had been instructed in the ways of the enemy and he expected Mandela to say such things. “It brings to mind the occasion of his inauguration as president in 1994,” recalled Steyn. “On the same day he decided to attend a soccer match at Ellis Park and we went in advance to make sure everything was safe. “When the time came for Mandela to leave and he was in the car, he made an attempt to get out of the car. “We did not know what this was about and he said nothing to us, so we followed him as he walked across the area behind the presidential suite at Ellis Park. “And there, standing across the way, was a real old-school police officer, a colonel in his blue uniform with all the badges of authority. “And this old warrior,” said Steyn, “who had really been around the block, started to cry. The tears rolled down his cheeks and Mandela just patted him on the shoulder and said ‘it’s OK Colonel. I just wanted to tell you that’. “When I heard him say that I started to question my upbringing and wondered whether the things we had been taught were not all wrong. “I bought 100% into his ideal of building one South Africa, which was the single agenda he had in his five years as president. Steyn said Mandela’s comments about sport were common knowledge. A humble side that Steyn respected enormously was Mandela’s ability to acknowledge the common man. “For instance, we arrived early at the Union buildings in Pretoria one morning and the cleaning lady was still polishing a verandah which led to his office. “He stopped, asked the lady her name, where she was from and how long she had been working there. Then he thanked her for ‘keeping our offices beautifully clean’ and went on his way. Madibaz Sport deputy director Riaan Osman thanked Steyn for his contribution and said all the stories were applicable to themselves as an educational facility. “Aspects such as respecting the time, respecting everyone around you and aspiring to achieve things which unify the diversity of our country really stood out for me.